It must be almost Halloween cos I've been seeing sooo many themed recipes and projects. 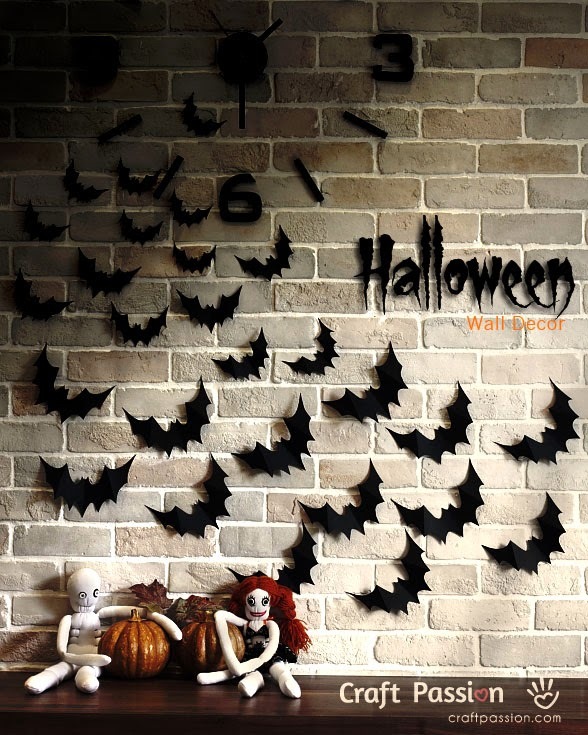 Will you be having a Halloween themed party this year? 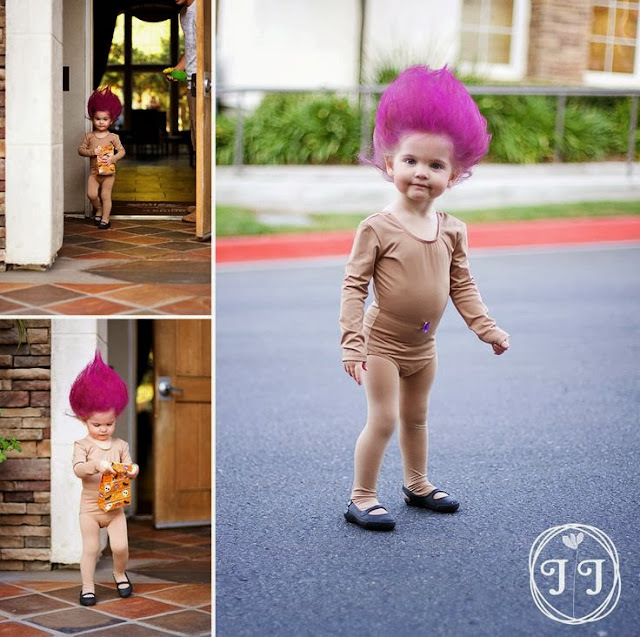 Seeing all these cute things makes me want to have some friends around and put on some crazy makeup and costumes. I've put together my faves for Halloween inspired food, DIY's and even costumes, some of these you can even do with/for your little ghouls and witches! 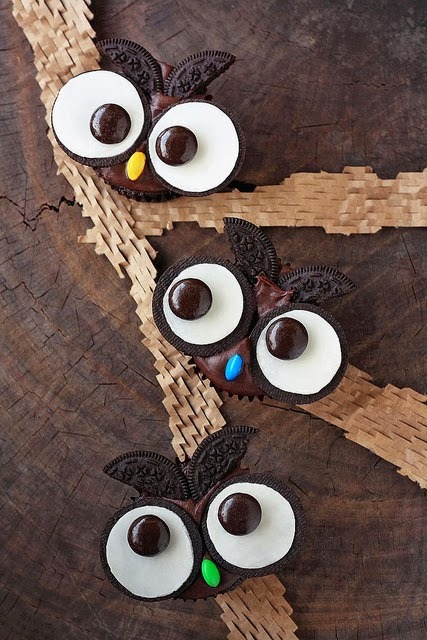 These super cute cupcakes are perfect as a little treat before the real night owls come out. There are a few recipes around but I think these ones from 6 Bittersweets made with Oreos are the cutest around. 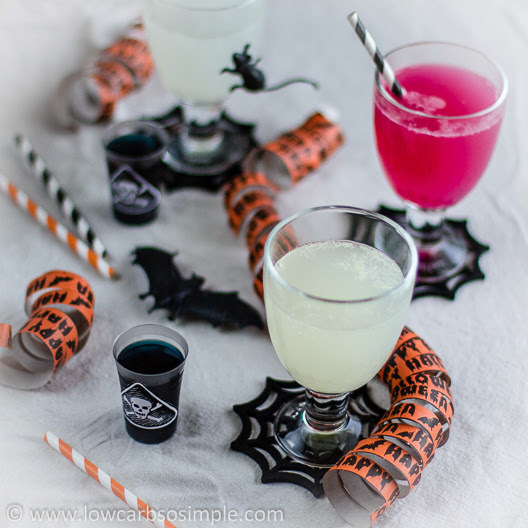 Spookify your walls with these easy to make paper bats from Craft Passion. Printable templates are provided in the tutorial. I'm thinking these would look amazing as a photo booth backdrop! 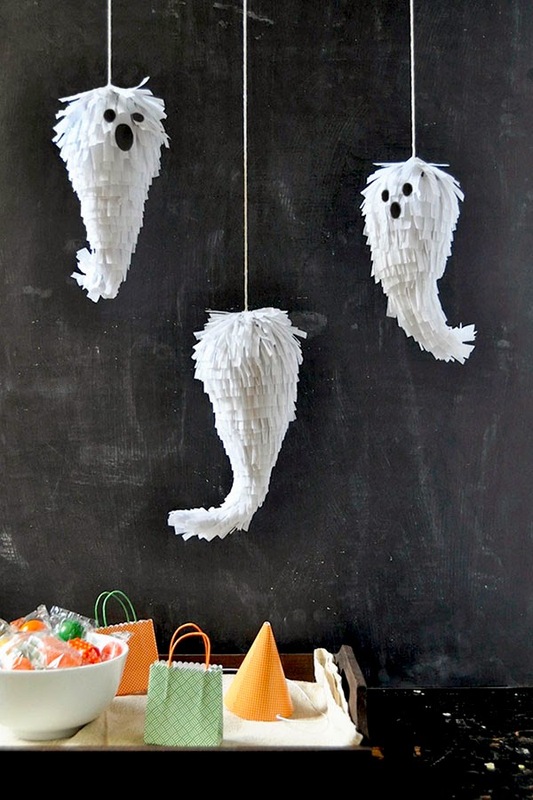 You can make sure everyone gets enough treats with a few of these DIY ghost pinatas from Oh Happy Day. Fill them up with your favourite sweets and get whacking! 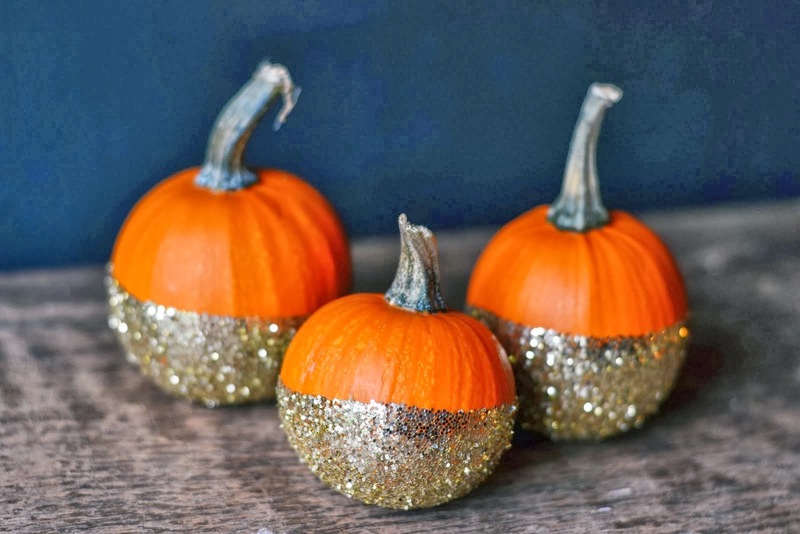 I love sparkles and this tasteful way of decorating a pumpkin could be perfect for a classy Halloween themed dinner party. I would even keep this in my lounge all year long! Thanks to the guys at P.S Heart for this glittery tutorial. 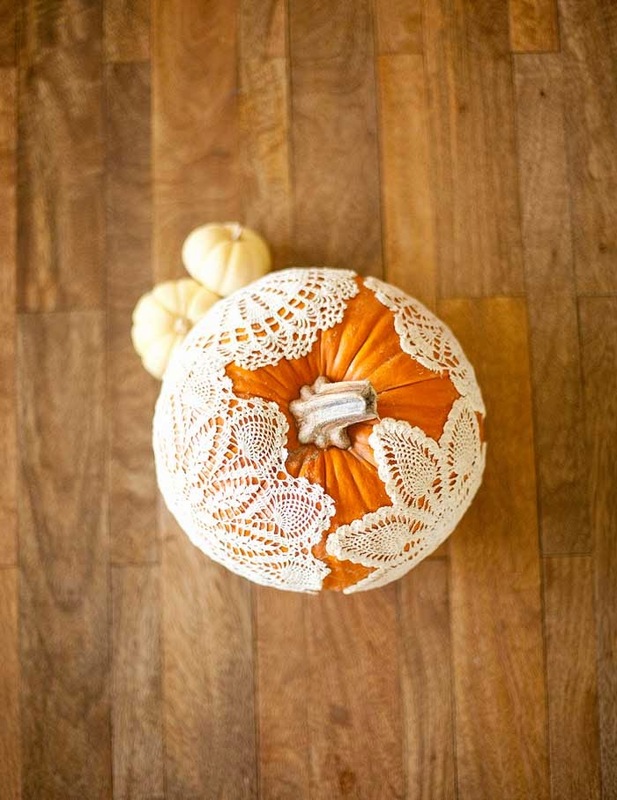 The warm, homely doily pumpkin from Allyson Baker Designs is my pick from them all. So easy and once you're done with it as a piece of decoration, you can peel the doilies off and cook it up into your fave cup of pumpkin soup! 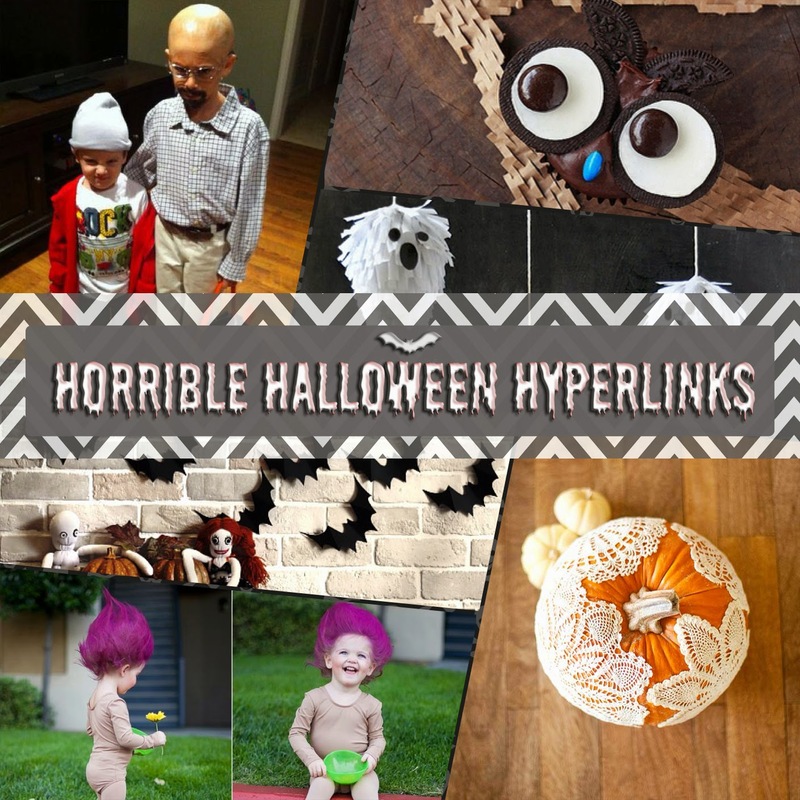 Stuck on what costume to wear for the scary season? Try this look for you or your little wee monster thanks to Jamilia Jean Photography. Finally, with this cult show finishing not long ago, I'm sure many people are keen to hang out with Jesse and Walt one last time. 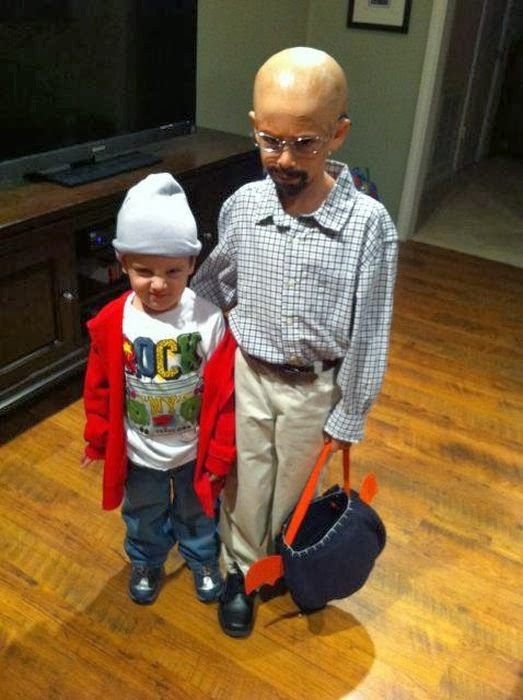 I think these guys have done it best! Have a great Halloween and hope you all get loads of treats!